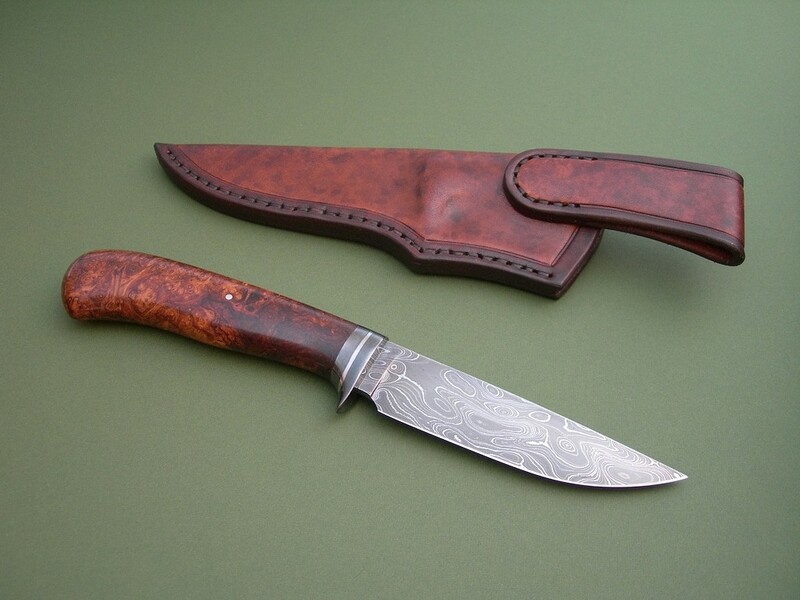 Summary: a beautiful Damascus Hunter by Poland knifemaker Marcin Bona. 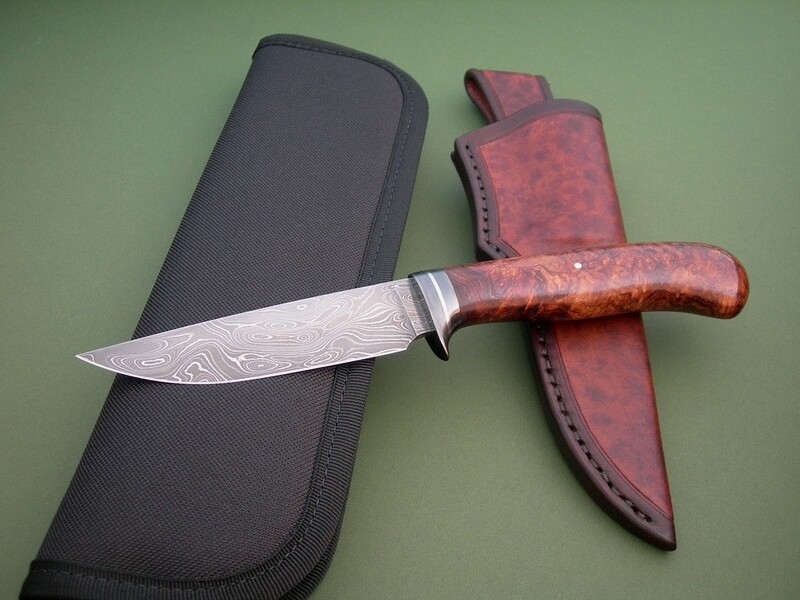 (Bona Knives) This knife has a 4-1/2" carbon damascus blade, custom carbon & stainless guard, and stabilized Rosewood Burl handle. 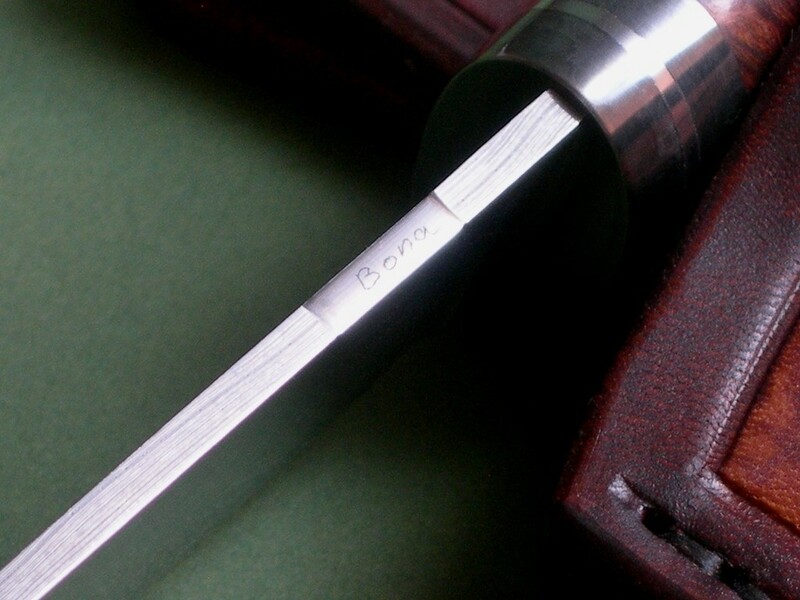 The makers mark (Bona) on the spine just ahead of the guard (see photo 7), Marcin marks his knives this way so as not to detract from the aesthetic beauty of the knife. The high quality leather belt sheath also made by Marcin. 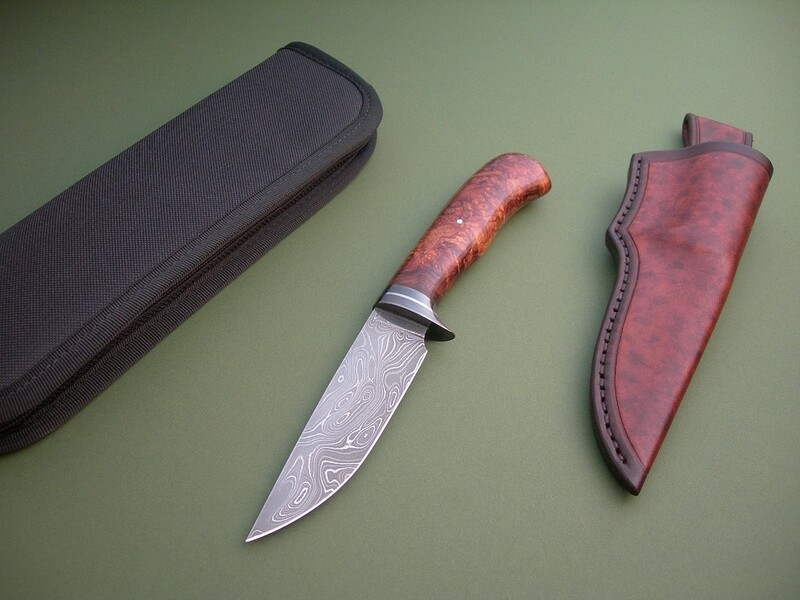 The knife / sheath fit is perfect -- the sheath is in mint condition.